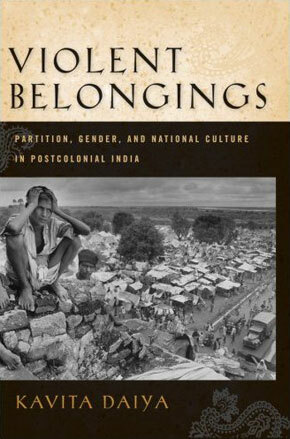 Violent Belongings: Partition, Gender and National Culture in Postcolonial India. “Home and the Nation: Women, Citizenship and Transnational Migration in Postcolonial Literature,” Journal of Postcolonial Writing vol. 44, no. 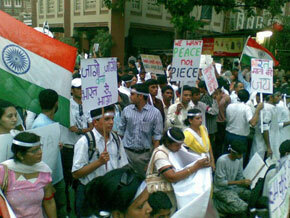 4 Dec 2008: 391-402. “Provincializing America: Engaging Postcolonial Critique and Asian American Studies in a Transnational Mode,”South Asian Review vol. 26, no. 2 Dec 2005: 265-275. “’No Home But in Memory:’ Migrant Bodies and Belongings, Globalization and Nationalism in Amitav Ghosh’s Novels,” in Brinda Bose, ed., Amitav Ghosh: Critical Essays (New Delhi: Pencraft International, 2003). “’Honourable Resolutions:’ Gendered Violence, Ethnicity and the Nation,” Alternatives: Global Local Political 27.2 (April-June 2002) 72-86.
Review, Lyrical Movements, Historical Hauntings: On Gender, Colonialism, and Desire in Miraji's Urdu Poetry by Geeta Patel, Catamaran: Journal of South Asian American Writing , Spring 2007. “Disciplining Modernity, Rethinking Gender and Political Struggle,” A review of Gyan Prakash’s Another Reason: Science and the Imagination of Modern India and Raka Ray’s Fields of Protest: Women's Movements in India, in University of Chicago South Asian Studies Newsletter, December 2000. “Transnational Hinduism: Religion, Race, and Diaspora in the US,” Global Humanities Colloquium, George Washington University, Washington DC, April 2006. Panelist, Round Table on “Gender, Race, and Sexuality in Cinema,” Annual Filming Sexualities Conference, George Washington University, April 2006. “Film and Hindu Fundamentalism in Rakesh Sharma’s The Men in the Tree ,” Provisions Library Peace Activism Postcolonial Film series, Washington DC, October 12, 2005. “Postcoloniality, Sexuality and the Global City in British Cinema,” BMW Center for German and European Studies, Georgetown University, Washington DC, February 2005. Keynote, “Globalization and Postcoloniality: Ethnicity, Race and National Belonging in a Transnational Context,” Race and Globalization Conference, University of Chicago, Chicago, IL, Spring 2002. Panel Chair, “Strangers in a Strange Land,” Second Annual South Asian Literary Festival, Washington DC, November 2001. "Postcolonial Literature, Interdisciplinarity and the New Humanities in American Higher Education," Second World Universities Forum, IIT-Mumbai, Mumbai, India, January 2009. “Masculinity, Suffering and Citizenship in South Asian Literature and Film,” 36th Annual Conference on South Asia, University of Wisconsin at Madison, Madison, WI, forthcoming October 21, 2007. “Global Culture, Religion and Identity in South Asian Media,” 35th Annual Conference on South Asia, University of Wisconsin at Madison, October 2006. “Beyond Nations and Nationalisms: Rethinking Modern South Asian Literature,” Modern Languages Association Annual Meeting, Philadelphia, December 2004. “Beyond the Nation: Literature, History and Politics in Modern South Asia,” 33rd Annual Conference on South Asia, University of Wisconsin – Madison, Madison, WI, October 2004. “History and the Literary Scene of Subalternity: Violence, Marginality and 1947,” Rocky Mountain Modern Languages Association Conference, Boulder, Colorado, October 2004. “Violence and Belonging, History and Literature in a Transnational World,” The Second International Conference on New Directions in the Humanities, Prato, Italy, July 2004. “The 1947 Partition: Women, New Histories, and Public Spheres in South Asia,” Association for Asian Studies, San Diego, California, March 2004. “To ‘Unlearn Conventions of Despair:’ Rethinking Non-Violence, Identity and Belonging Transnationally,” Commemoration Event, George Washington University, Washington DC, Sept 11, 2002. “History, Violence, and Gendered Ethnicities in South Asian Literature,” Association of Asian Studies Annual Conference, Washington DC, February 2002. “Ethnicity, Gender and Nationalism in South Asian Literature,” South Asia Seminar, George Washington University, Washington DC, October 2001. Panel Chair and Discussant, “Migrants, Bodies, Knowledge: South Asian Selves in Transnational Spaces,” 16th Annual South Asia Conference, University of California at Berkeley, California, February 2001. “The Aesthetics of Romance and the Ethics of Ethnic Violence in Diasporic Film,” Modern Languages Association Annual Meeting, Washington DC, December 2000. “Gendered Bodies, Nationalism and the Production of Partition Violence in Postcolonial Literature,” 15th Annual South Asia Conference, University of California at Berkeley, Berkeley, California, February 2000. “Rethinking Decolonization with Partition: Violence and Everyday Life in Postcolonial Literature,” Gender and Society Workshop, University of Chicago, May 1999. “Partition and the Construction of Indian National Identity,” Department of English Association for Students of Color (DEASC) Study Group, University of Chicago, March 1997.